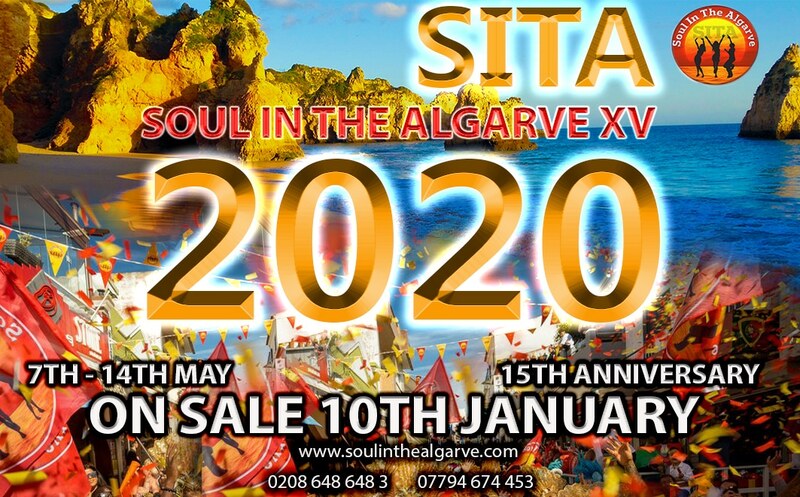 Every May 700 Soul Music Lovers from across the UK & World travel to the magnificent shores of The Algarve in Portugal and join in unisons for this fantastic Soul Music event that is Soul In The Algarve. This much talked about award winning Holiday is one that you simply MUST TRY!!! 80% of our customers rebook for the following year before flying home which is a testament in itself. It’s a fantastic week on a beautiful resort with likeminded people. You will be entertained by 14 of the best Soul DJs in the UK, to a backdrop of golden cliffs, aqua waters and white sandy beaches. We host events all week, every day and night with the highlights being : our very own Carnival to participate in and a Soul til Sunrise beach Party. I am interested in this event and would like to book my party of Soul brothers & sisters too. Can you alert us to when you are taking booking please.